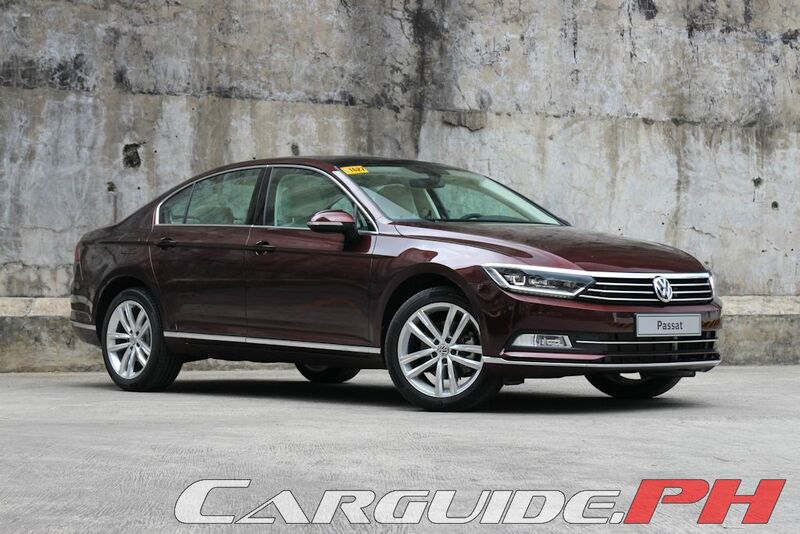 Stumbling out of the starting block since its launch two years ago, Volkswagen Philippines is starting to get into the groove. With the arrival of the Golf GTI, enthusiasts began taking the brand seriously—no longer does VW have to rely solely on hippy sentiments to sell; they have a proper world-class hot hatch in their line-up. Though not entirely perfect, the Golf GTI paved the way for even better Volkswagens starting with the 2016 Passat. 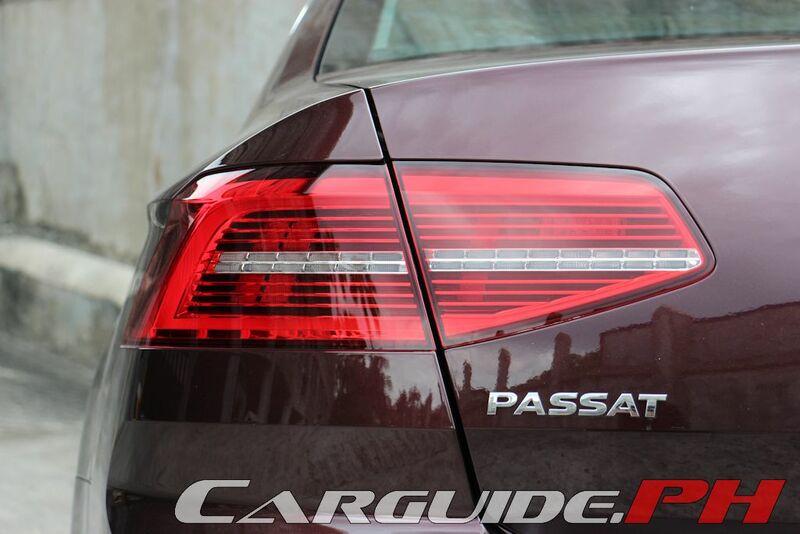 Clean and crisp, the Passat is unmistakably Teutonic from top to bottom. The Walter DeSilva/Bertone penned body is aesthetically beautiful. Penned perfectly, it walks the fine line between being conservative and shouty, sporty and luxurious. It’s everything an executive sedan should be. 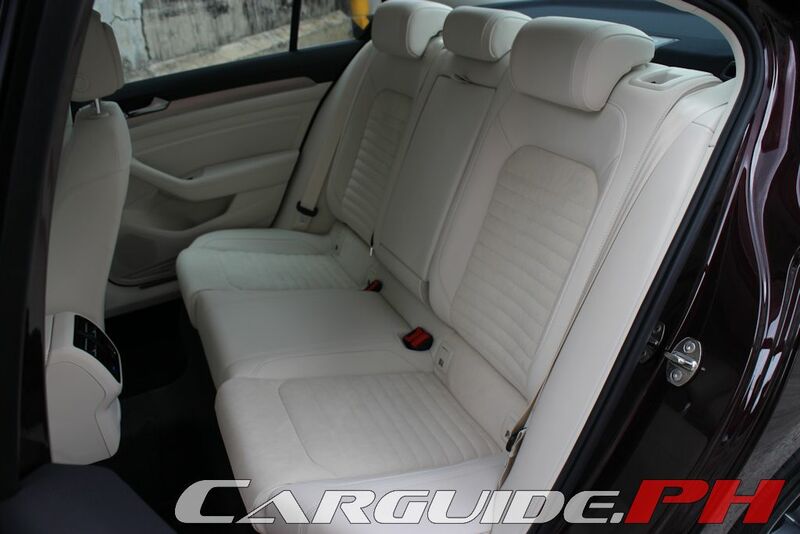 It relies on exquisite detailing rather than fussy curves and gashes to get attention. 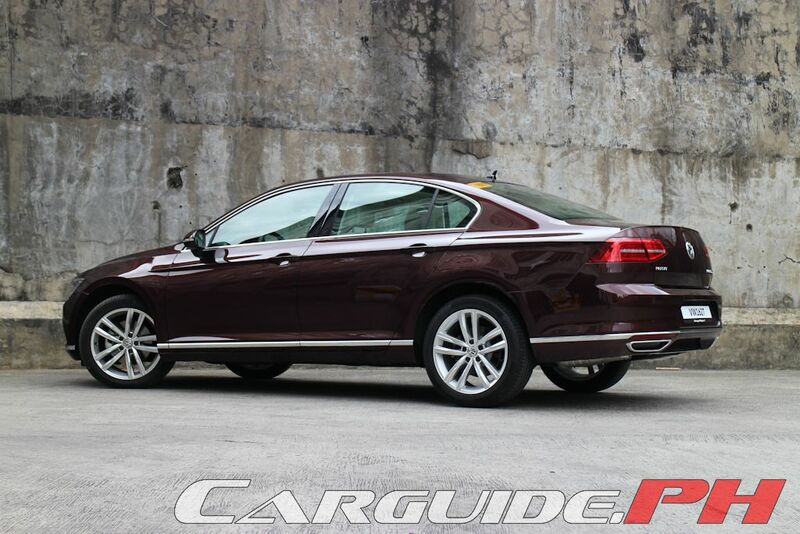 On the Business Edition, just the right amount of differentiation is sprinkled around from the unique LED lighting signature, larger Dartford alloy wheels, more chrome, and a dark tinge on the taillights. In fact, the only complaint you can level at the styling (and this is being overly critical) is that the exhaust cutouts on the sport bumper are there for aesthetic reasons alone; the real ones are tucked beneath it. The Passat moves from strength to strength once you open the solid doors. The cabin is well-designed and laid out. 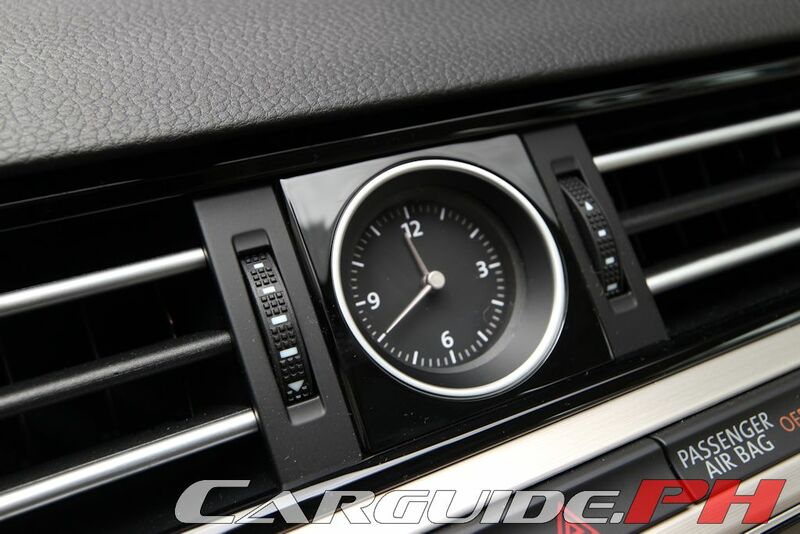 The horizontal motif does its job well, imparting a classy, spacious interior while nice detailing work from the “hidden” air vents to the analog clock do their part to increase the luxury factor. 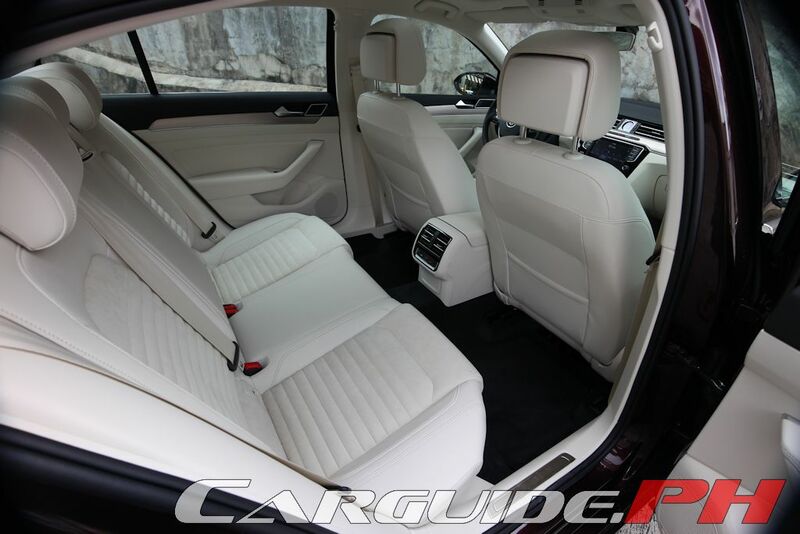 The interior itself has abundance of room for both front and back passengers, matching the typical Japanese executive sedan while actually providing for even better support and ergonomics. 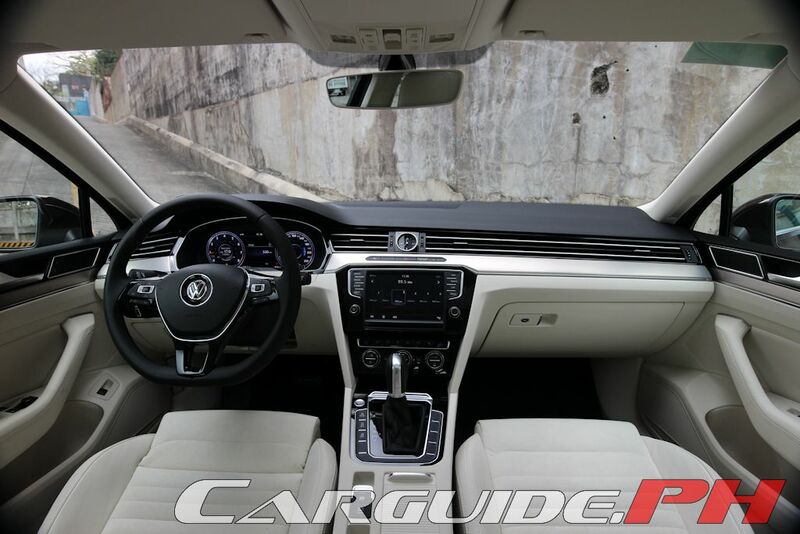 Aside from size, the Passat forgoes the usual beige-and-wood accents and comes with a sporty mix of high-gloss piano black inserts, aluminum accents, supple leather, and sporty Alcantara. 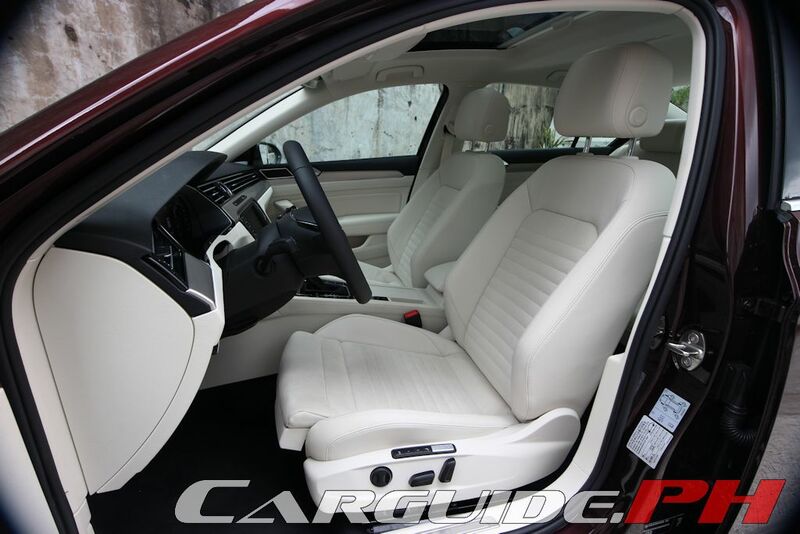 Though you can opt for a brown or black interior (the combination based on the exterior color), going for the Crimson Red means having to live with an off-white shade called St. Tropez. It looks nice, but it’s a pain to maintain. Volkswagens are commonly criticized for their lack of creature comfort features, but thankfully that’s not the case with the Passat, For the Business Edition, it is well appointed with features such as a three-zone climate control, 12-way powered seats with massager, high-fidelity 8-speaker system, 8-inch touchscreen with navigation and Apple CarPlay, AreaView rear camera, and panoramic sunroof being standard. The only option is the Active Info Display which replaces the traditional instrument panel with a full-color re-configurable 12.3-inch LCD display. For 50,000 more, it’s more of a conversation starter than anything else, so best to save the money and stick with the analog gauges. This car’s already quietly confident, but its charm is more than just skin deep. Engineered with spirited driving in mind, it’s actually like a more grown-up Golf GTI because it shares its most basic ingredients: the platform and the drivetrain. 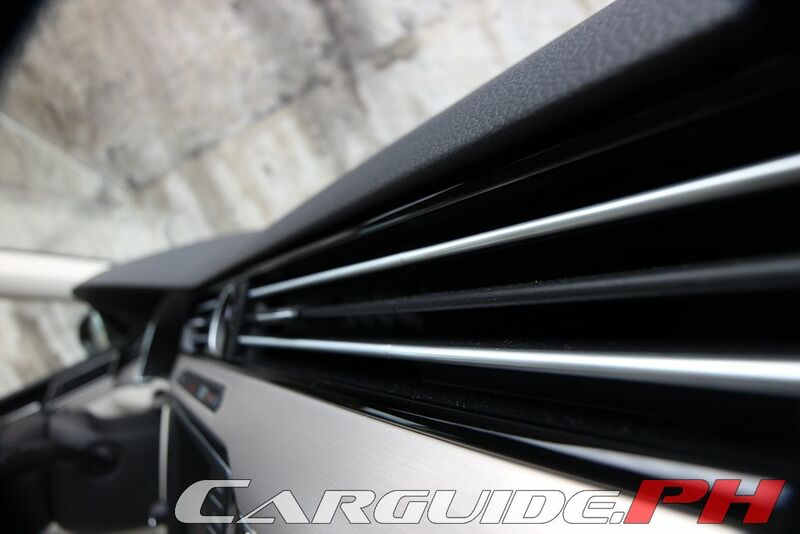 VW’s MQB Architecture uses an exotic mix of metals to keep the weight down and rigidity up. 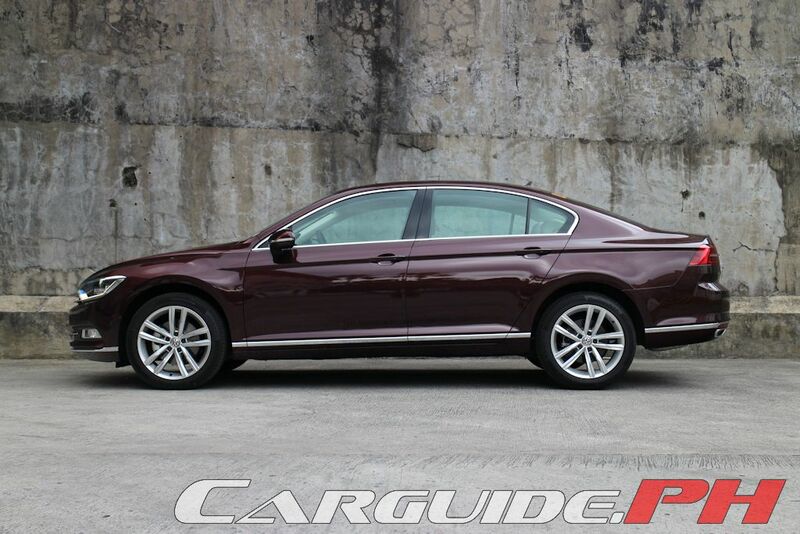 VW reckons it’s 85 kilograms lighter while being 8 percent more rigid than the previous Passat. On the business end of things, it’s powered by the same 2.0-liter TSI 4-cylinder motor as the Golf GTI. While the displacement may look anemic, the power figures are anything but: 220 horsepower and 350 Nm of torque. 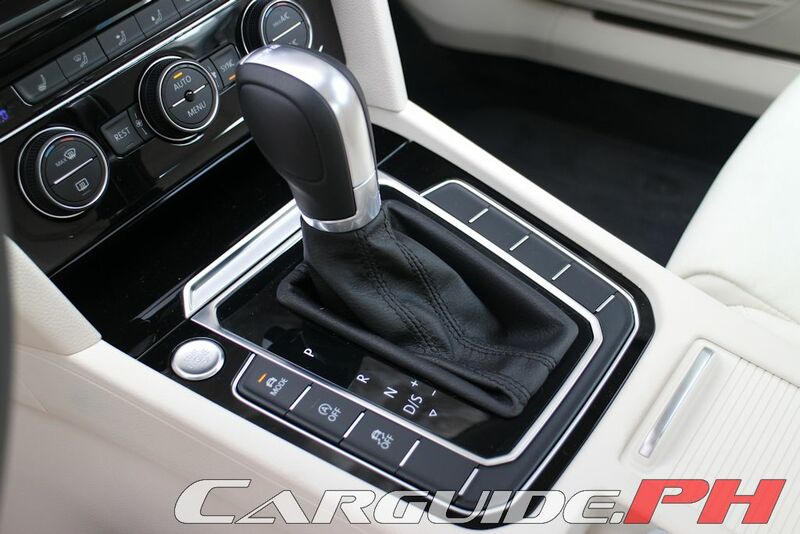 What’s more, it’s mated to a quick-acting 6-speed dual clutch automatic driving the front wheels. 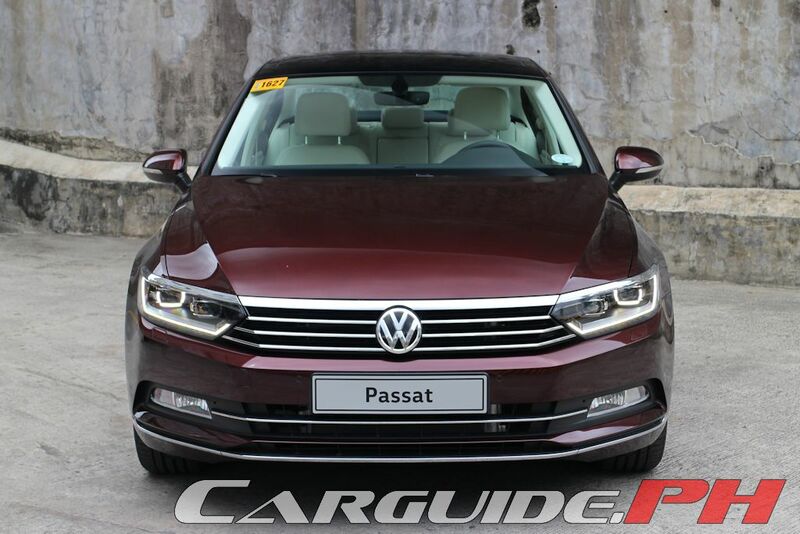 On the road, the Passat belittles its size, feeling nimble and quick through turns. It has good grip and controlled body roll; balancing refinement, responsiveness, and comfort perfectly. 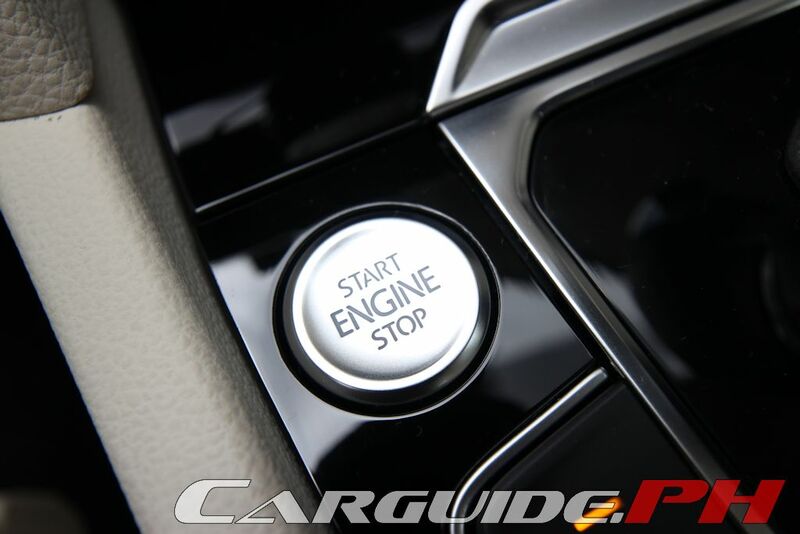 The secret is the Adaptive Chassis Control (DCC) which tweaks the suspension damping and electromechanical power steering using the Driver Profile Selection. It’s also quite easy to carry speed through corners thanks to the Electronic Differential Lock (XDS) that limits wheel spin. On the straights, it’s also quite devilish to drive. Bury the throttle and the Continental tires will screech for a split-second before rocketing forward with zero drama and torque steer. Overtaking is easy and confident in any occasion. When not tackling mountain passes, it’s still a remarkably composed and comfortable cruiser. It eats long distances effortlessly because of its perfect driving position, supple ride, and bank-vault like construction. 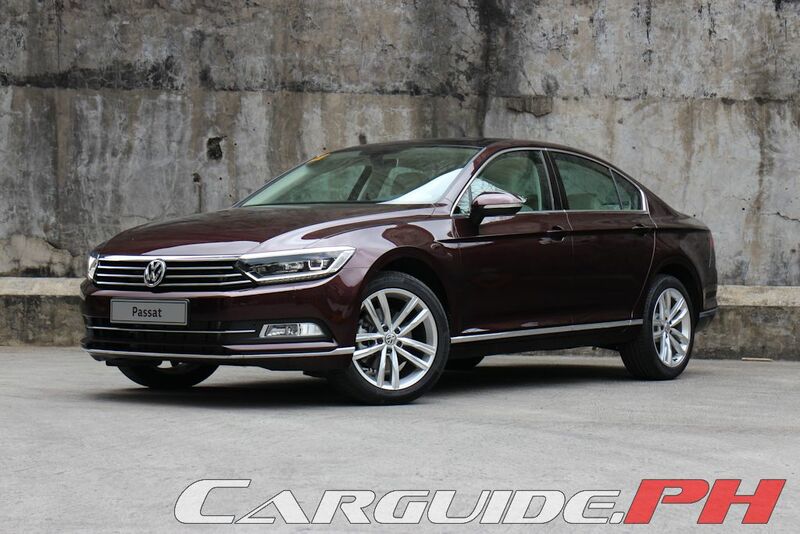 In fact, driving the Passat back-to-back with a similarly-speced but more expensive BMW 320d reveals the unshakable truth: the Volkswagen is more suited for Philippine roads. The Bimmer may be more fun, but it’s also more tiring to drive, requiring constant minute corrections even on flat highways while returning a choppier ride. 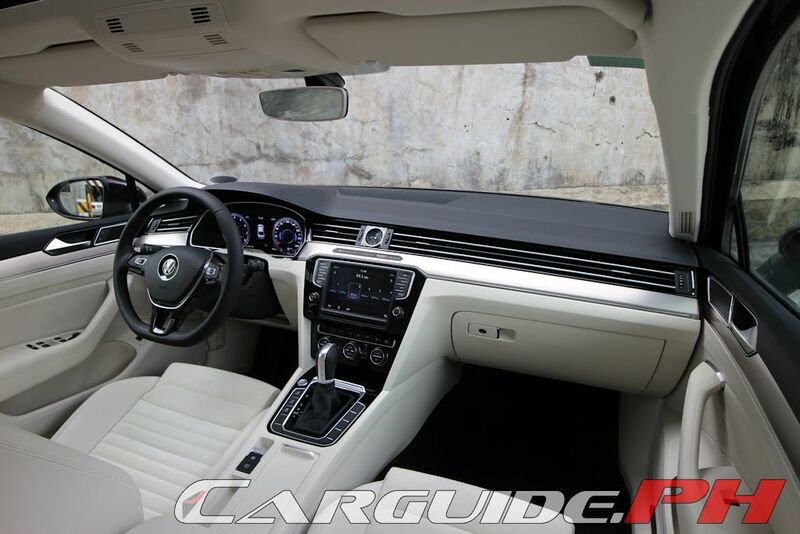 If you have to live with one executive car, the Passat gets the nod here. The fuel mileage, 7.04 km/L (average speed 15 km/h) is nothing special considering the automatic idle start/stop was on the entire week, but thanks to a large 66-liter tank, it can go the distance between fuel stops. Overall, it’s hard to fault the Passat save for one thing: the cloth cover to the panoramic sunroof. Not only does it allow some of the summer heat to permeate the cabin, it creaks continuously causing great discomfort to the passengers. 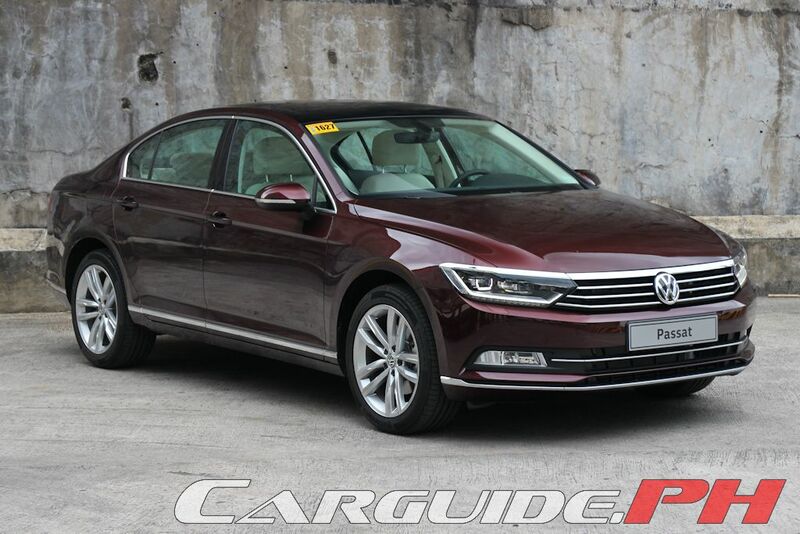 There are those who’ll criticize the Volkswagen Passat as not being affordable and at P 2,759,000, they may be right. 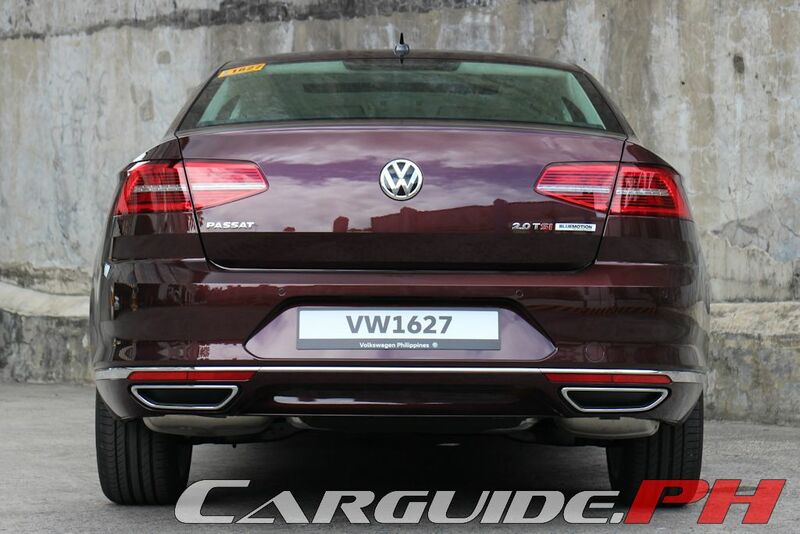 Dig deeper though and it’s quite obvious VW isn’t after the Camrys and Accords of this world. 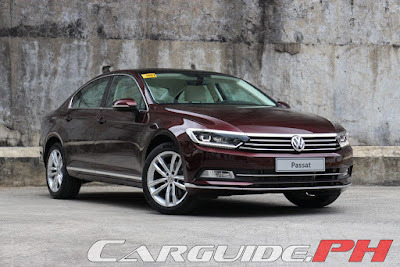 For the 2016 Passat, they want to tap a market who wants something more refined, more upscale than the typical Japanese sedan while still being more affordable than any other German competitor. 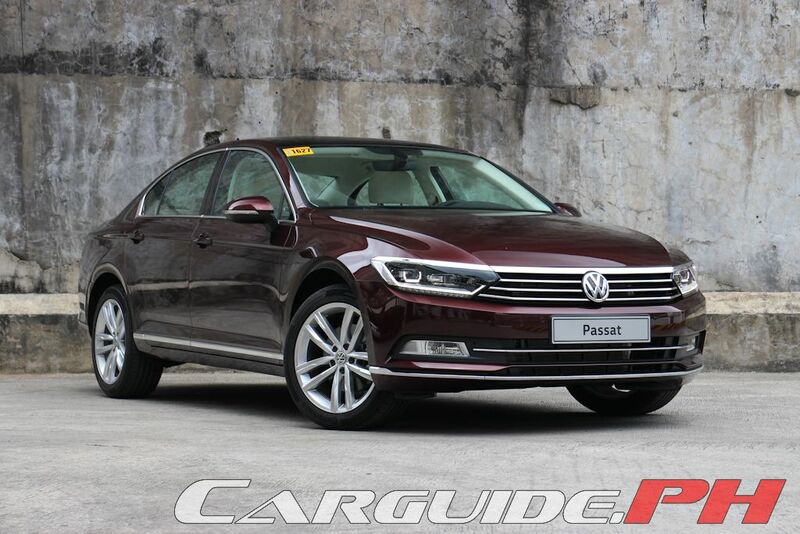 The Passat stands out for being excellently designed, meticulously engineered, and exquisitely finished. 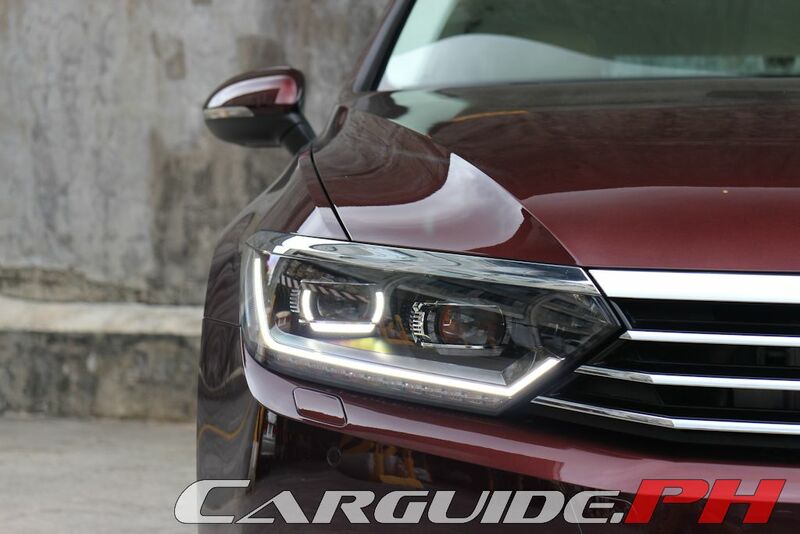 If it’s the Passat’s job to make people notice Volkswagen for more than just the Beetle, it’s job done. Best engine in its class, but there's no city emergency braking which is a standard feature even in lower-end Passat models in Europe. 0-100 km/h in 6.7 seconds... That's not bad. Camry is 5.8,Accord is 6.1, Altima is 5.9, Legacy is 6.9. Compared to other petrol/gasoline cars in this class (e.g. Executive Mid-size a.k.a. D-segment)??? Maybe so....cause such is the nature of turbo 4 vs N/A V6. P2.8M? I'll have what they're smoking please. Can't imagine anyone lusting for this expensive car. Would people be oohing aahing like, "Wow, ang yaman mo ha. Naka Bokswegon ka pala." Uly, what do you think is the better car in terms of handling, ergonomics, tech features, and value: the Peugeot 508 2.0 Allure or this model? 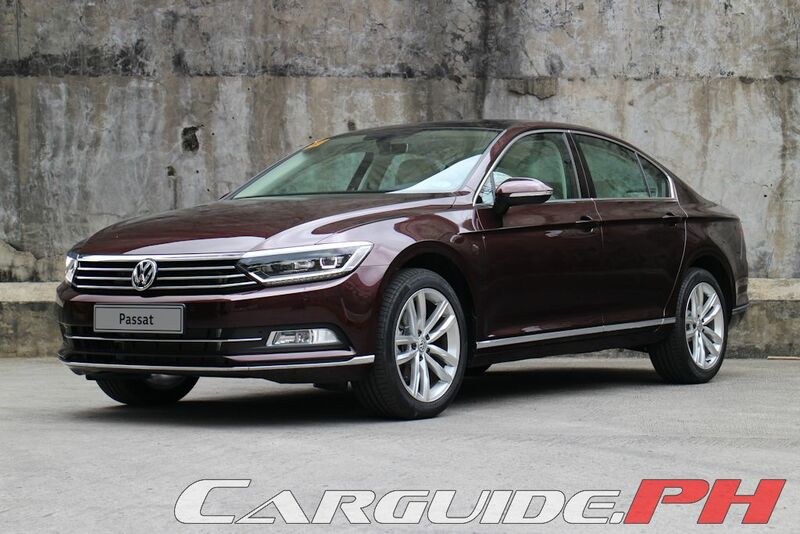 I know they're not exactly the same, as the former is diesel and the latter is gasoline powered, but they are positioned as the "entry-level" variant of their respective exec sedan markets. As they are close competitors in Europe, I wonder how each fared in our real world Philippine conditions. It would be interesting to look into this........once Peugeot PH launches the next-gen 508. I dunno what variants will be brought here locally......but I would want to see the Puretech 225 Petrol/Gasoline version here.